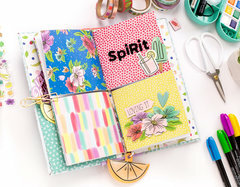 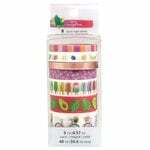 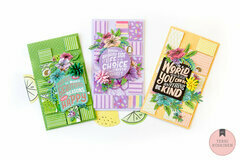 The Flower Baskets Double Sided Paper is perfect for your spring or summer themed pages, cards and more! 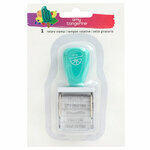 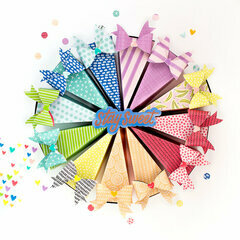 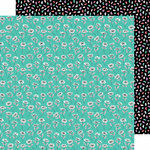 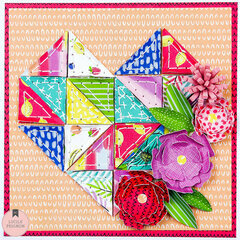 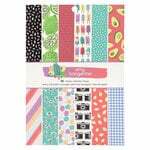 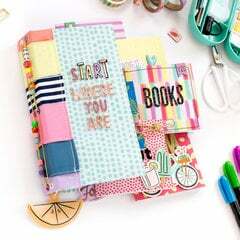 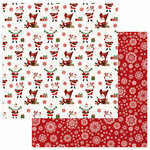 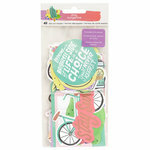 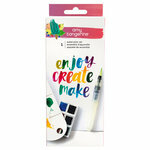 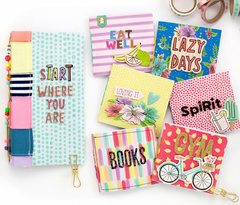 The package includes one 12" x 12" sheet from the Stay Sweet Collection by Amy Tangerine for American Crafts. 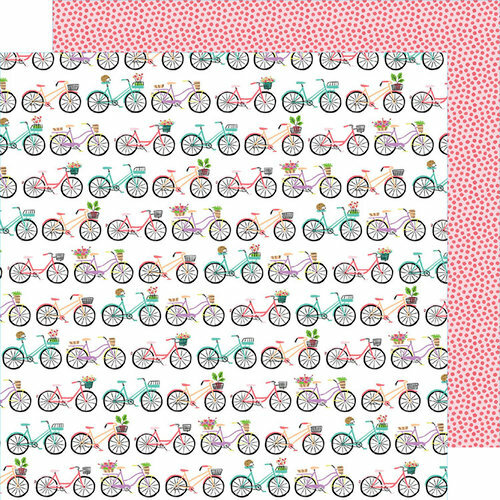 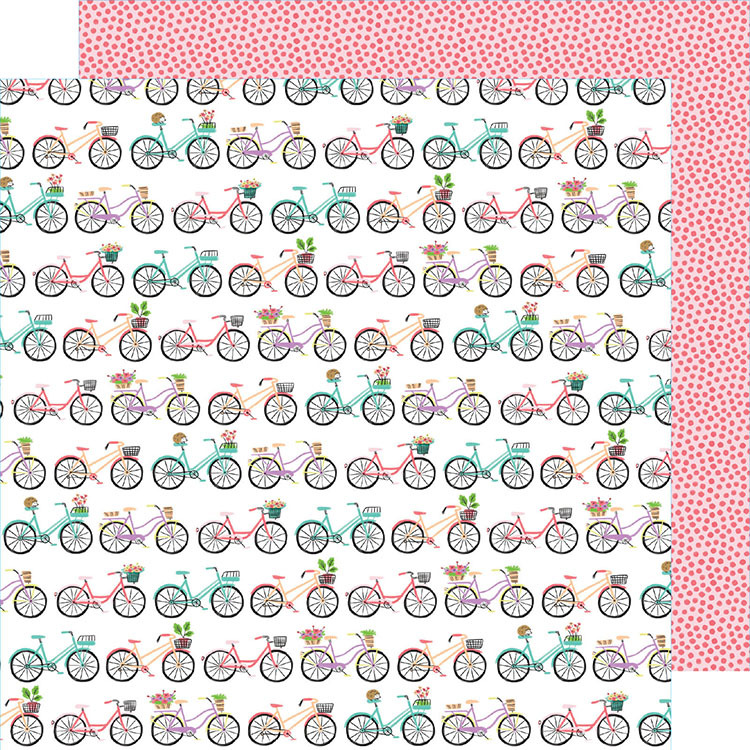 The paper features multi-colored bikes with flower baskets on one side and a red dots on a pink background on the other.